There are limited weeks left in December and January, including New Year. 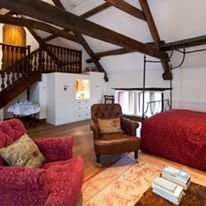 The Old Hayloft is the perfect place to relax during this time, with log fires and the comfort of the Aga. All with the beautiful Yorkshire Dales, ready to explore on the doorstep.